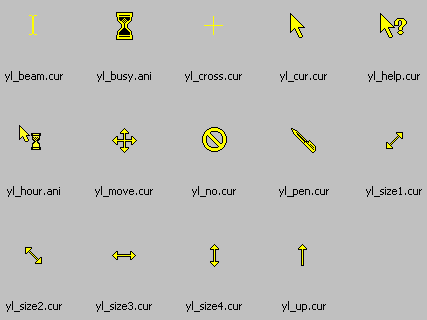 Free Yellow Cursors Windows Cursors Downloads browse our collection of freeware cursors spice up your computer with yellow download them here for your windows computer with simple install instructions. Simple instructions to install windows cursors into your windows 7, 8, 10, Vista and windows xp operating system on your computer. We have previews for the free yellow cursor shown on a white background and a gray background. 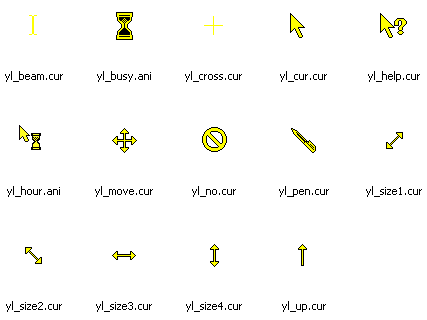 Download freeware windows cursors below, .ani means it is animated, .cur means it is not.